Suspended Animation brings us another Jessica Rabbit custom standee, and this one is definitely a favorite pose among many people. 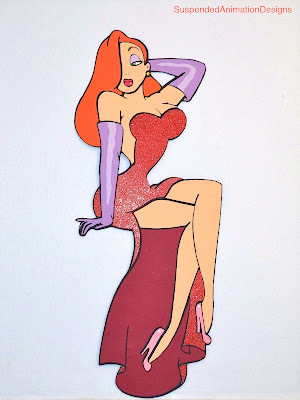 This standee is a replica of the Jessica Rabbit neon sign that once graced Pleasure Island. The sign was originally part of the Jessica's store back in 1991 and stayed on the building for a few years until it was moved the to West End stage and became part of the iconic Pleasure Island sign. The stage and sign were removed in 2006, but now's your chance to have a memento of Jessica's famous form. This standee is a full 24 inches tall and features a glitter dress. 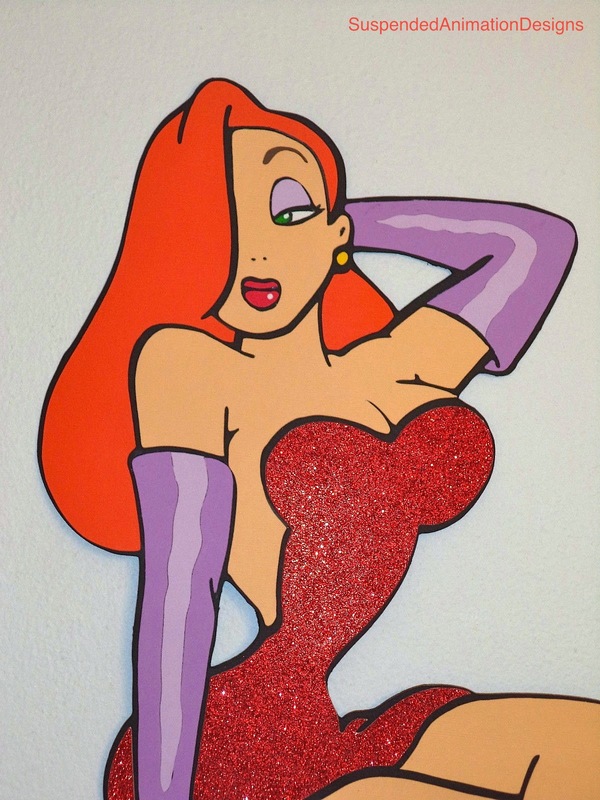 This is only available through eBay, so check it out now and give your Jessica Rabbit fan something amazing for the holidays. Don't forget to visit Suspended Animations Etsy shop, for a huge selection of character wreaths, trinket boxes and standees featuring characters like The Little Mermaid Ariel, Mickey and Minnie Mouse, Cheshire Cat, Jack Skellington and more!